June 22nd, 2017 marked the official celebration of the 117 Call Center’s transition into a sustainable public health mechanism for Sierra Leone. This successful transfer of ownership has been highlighted as an instrumental step towards strengthening the ability of Sierra Leone’s Ministry of Health & Sanitation (MoHS) to efficiently identify and respond to public health emergencies and other challenges. Officials from the MoHS, UK Aid, eHealth Africa (eHA), and the United State’s Center for Disease Control and Prevention (CDC) gathered to mark this momentous occasion. The event was held at the Public Health National Emergency Operations Centre (PHNEOC) in Freetown, Sierra Leone. The 117 is a MoHS initiative set up in 2012 as part of a wider support system to improve maternal and child health. 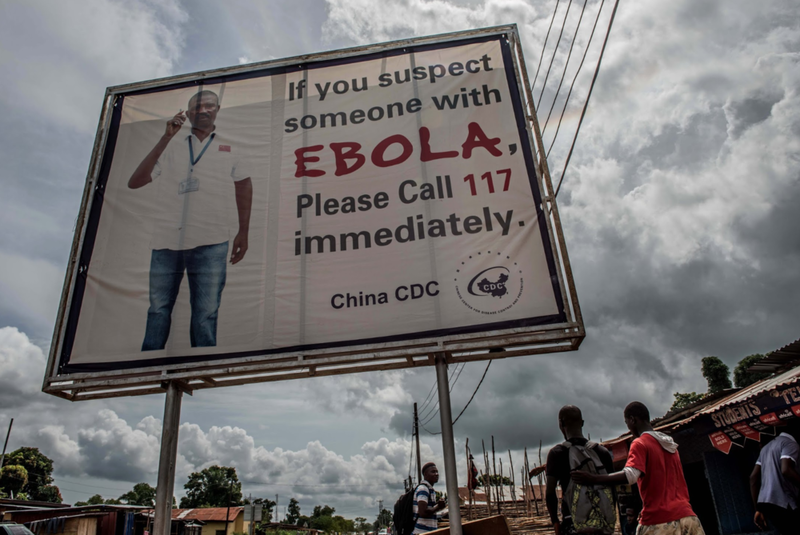 In 2014 it was scaled-up in response to the Ebola Virus Disease (EVD) outbreak - to serve as a tool to document, track and provide follow-up on suspected EVD cases and deaths. Funded through the Government of the United Kingdom’s £13.7 million aid package to the Ebola Response Consortium, eHA provided technical and operational support to expand the 117 to every district in Sierra Leone. eHA developed a custom software to enable near real-time documentation of call details and the dispatching of the 117 calls to District Emergency Response Centers. This system also provided call-back services to deliver updates on the dispatching of health workers to original callers. Speakers at the event included eHA’s Deputy Country Director in Sierra Leone, the Deputy Minister of Health from the MoHS, the Deputy Chief Medical Officer from the MoHS, the British High Commissioner to Sierra Leone, and several CDC representatives. “117 has been a real effort and success in partnership between the Ministry of Health [and Sanitation], the UK Government, eHA, and other partners on the ground. eHA will continue to be a willing and able partner with the Ministry to improve health outcomes in Sierra Leone” - Dayo Spencer-Walters, eHA's Deputy Country Director, Sierra Leone. The event concluded with a ceremonious ribbon cutting performed by the British High Commissioner and the MoHS’s Deputy Minister of Health, followed by a tour of the new call center space in the PHNEOC facility. At the height of the EVD crisis, the 117 received an average of 6,000 alerts of suspicious deaths and sickness per month. Over 300 dispatchers and operators were trained to utilize the eHA software solution and provide weekly updates to the MoHS and partners. This information was invaluable in the management of the outbreak, as it informed near real-time response efforts. 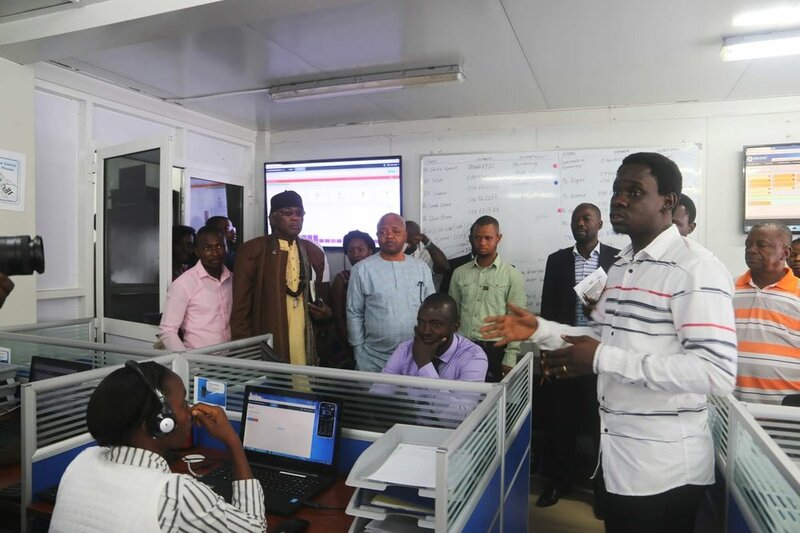 With continued funding from UK Aid’s Resilient Zero program, the 117 call center currently receives around 2,000 alerts per month to its decentralized data managers who are deployed across all 13 districts in Sierra Leone. The 117 is a key element in strengthening the public health surveillance system, including tracking maternal deaths, child deaths, and suspicious infectious disease cases. With a desire to maintain a strong disease surveillance system that can prevent and respond to public health threats, the MoHS will exercise renewed leadership over the technical and operational aspects of the 117. In light of this, the CDC Foundation has committed to short-term funding support for the project. The public is encouraged to continue to place calls and send public health alerts to the 117 in order to report all deaths and suspicious illnesses in their respective communities. Social mobilization activities will continue in national efforts to enhance disease prevention, management, and the overall health sector development in Sierra Leone. eHA remains committed to achieving its mission by improving preparedness for potential public health emergencies across underserved communities in West Africa. To find out more about the work that eHA does, kindly subscribe to our monthly e-newsletter.